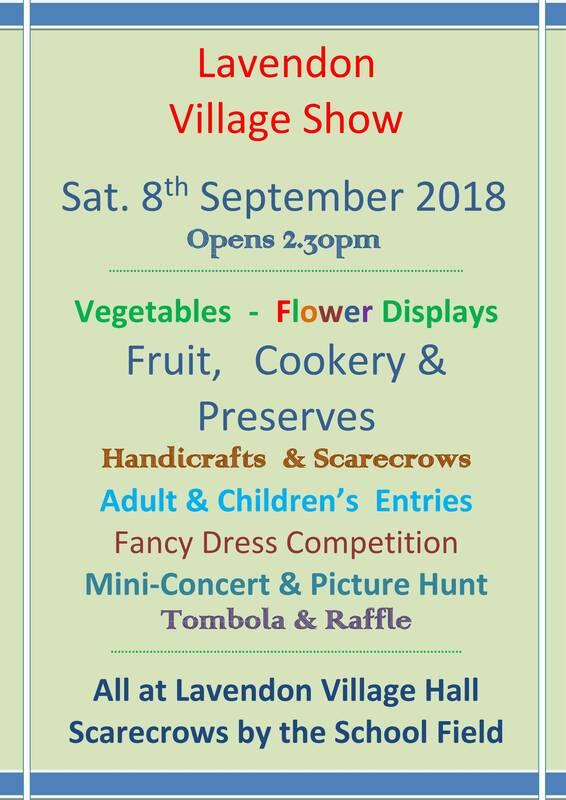 This year’s Lavendon Show will be held on Saturday, 8th September 2018. The Schedule for the 2018 Show will soon be available here. The Entry Form & Instructions for Children’s Class 140 will soon be available here. In the meantime, why not get some ideas for preparing your Show entries and Scarecrows by clicking on the links to past Shows shown on this page!